*Francois Tusques’ rarest commercially released album now reissued via Finders Keepers...* "With track titles translating as ‘Song For The Devil’ and ‘The Witches’, Francois Tusques’ rarest commercially released album casts an early stylistic premonition of the vampire themed improvised soundtracks recorded for director Jean Rollin merely months after its release. Assembling the very same group of musical sorcerers this album’s personnel (featuring, amongst others, soprano saxophonist Barney Wilen) reads like a who’s who of France’s early improvised music / free jazz scene resulting in a wholly unique European flavour while preserving the essence of other global inter-communal travellers such as Don Cherry and Krzysztof Komeda. 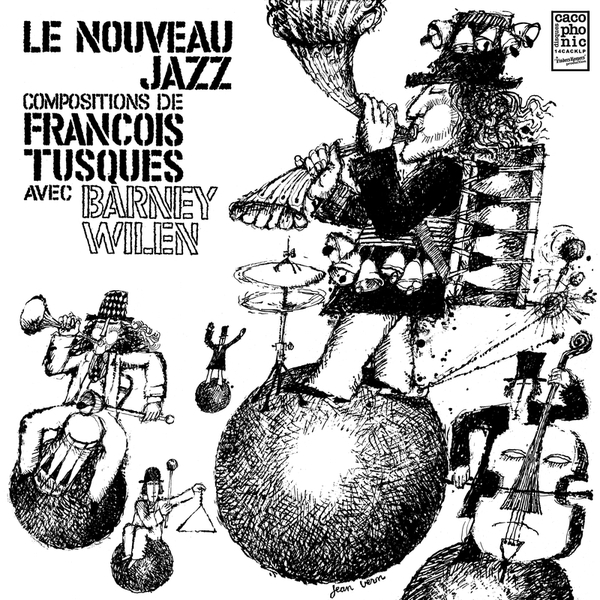 Originally extracted from three separate recording sessions in early 1967, ‘Le Nouveau Jazz’ opens with themes conjured up for the short film ‘Coda’ by French jazz documentarist Marc Pauly highlighting the composer’s adept ability in his multi-disciplined art, further aligning him with the aforementioned pioneers. The rest of the album combines frenzied macabre picture music (akin to Detroit’s Wendell Harrison) and emotive piano improvisations (Mal Waldron, anyone?) with the sui generis inclusion of a double double bass formation courtesy of Bernard ‘Beb’ Guerin (Sonny Sharrock / Kühn Brothers) and Jean-Francois Jenny Clarke (Enrico Rava / Giorgio Gaslini). 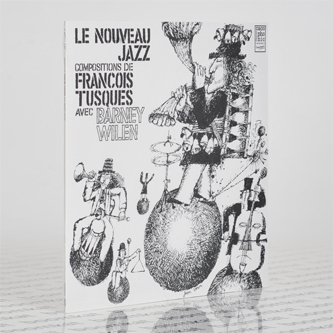 As Tusques’ second official album (after the seldom sighted ‘Free Jazz’ from 1965) this LP expands on this important French musician’s vision and follows up Cacophonic’s repress of his mega rare Don Cherry art installation collaboration from 1964, this time introducing extra rhythmic arrangements courtesy of Italian drummer Aldo Romano (Robin Kenyatta).Housed in the elegant original ‘Witches’ artwork sleeve by comic illustrator Jean Vern with French liner notes by French psychiatry / beat poet / crime fiction writer Yves Buin this worthy reissue hopes to find a unique uninhabited part of your collection from an era that changed the Parisian underground prior to the important developments of labels like BYG Actuel and Futura Records in the early 1970s."